In addition to receiving the least amount of sunlight possible, the winter solstice will also see the least amount of solar energy reaching the northern half of the planet. It’s also when the sun is at its lowest point in the sky at noon. 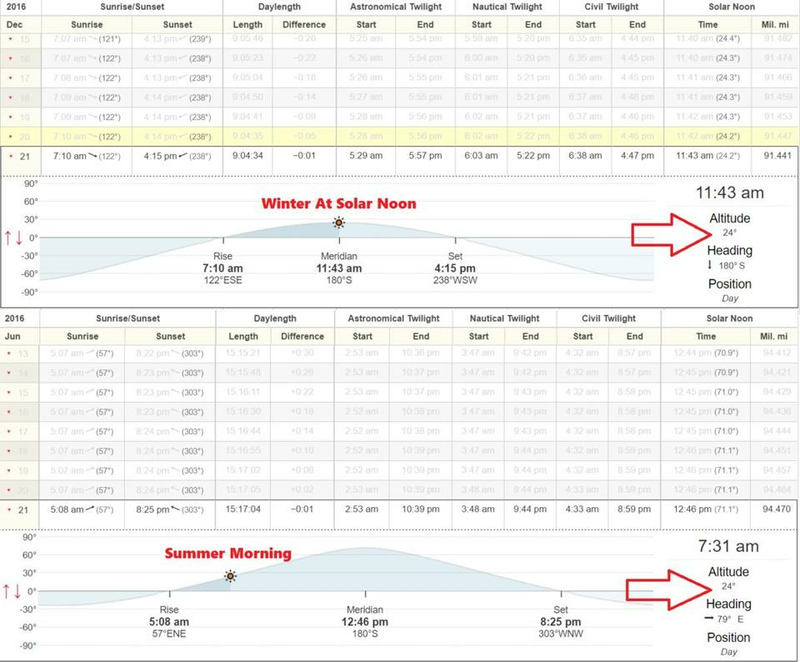 If you look at the distance of the sun above the horizon at solar noon, or 11:42 a.m. Wednesday morning, it will only be 24.2 degrees above the horizon — that’s as high as it gets all day. That’s comparable with about 7:30 a.m. on summer’s first day. 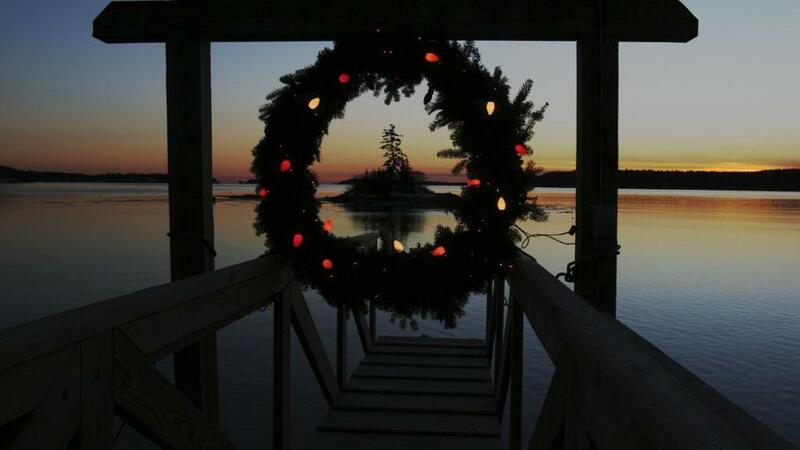 The shortest day of the year will be marked by sunshine and temperatures in the 40s. The change in light is one of the constant pieces of nature we can predict: We know how much light is going to be available at any given day, and how much we gain and lose. This information is part of the computer models we use to forecast; it’s the parts we can’t predict so well that makes the forecast a challenge. 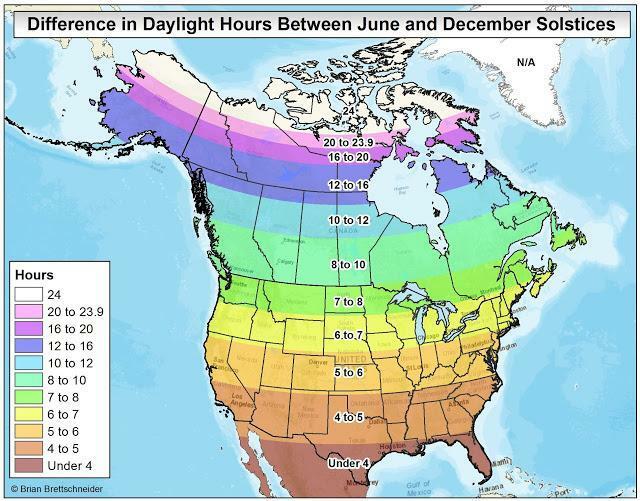 So, here are a few interesting facts about the solstice you can share. 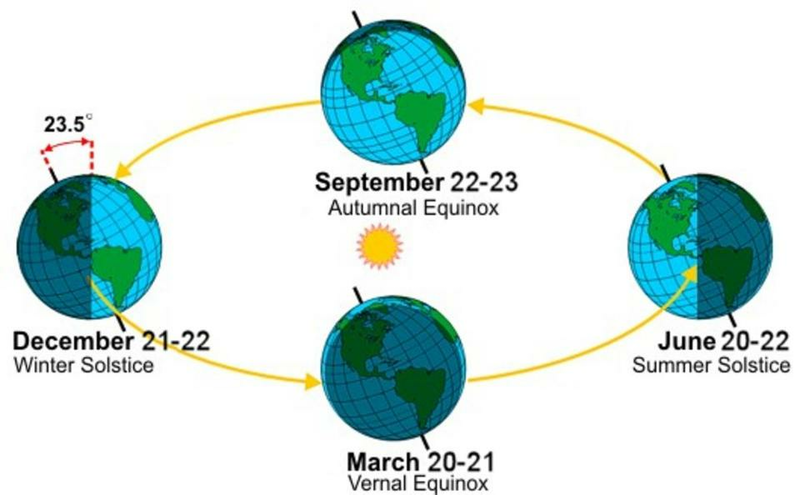 Today is not the day with the latest sunrise or earliest sunset: Because of the Earth’s tilt and the way we measure time, those are offset from the solstices. 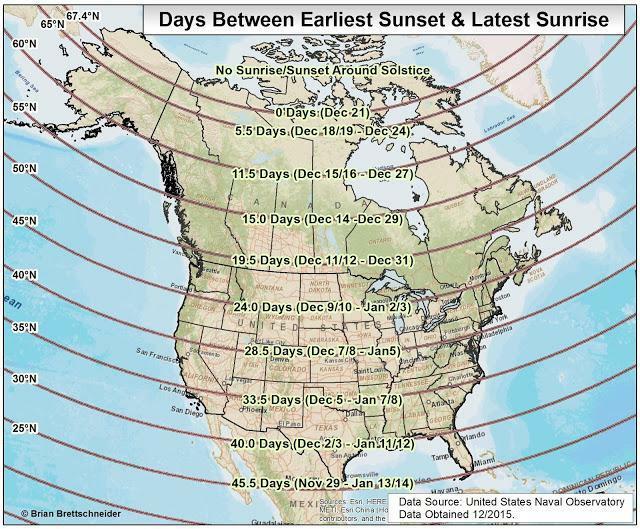 You can see on the map below when the earliest sunset occurs, and how it differs from the latest sunrise. (This doesn’t take into account daylight saving time.) In practice, our latest sunrise is actually the Saturday before we turn the clocks back in November. We’ve lost a lot of daylight since the first day of astronomical summer back in June — six hours of it, in fact. The speed at which we gain and lose daylight increases towards the equinoxes, and then slows down at the solstices. 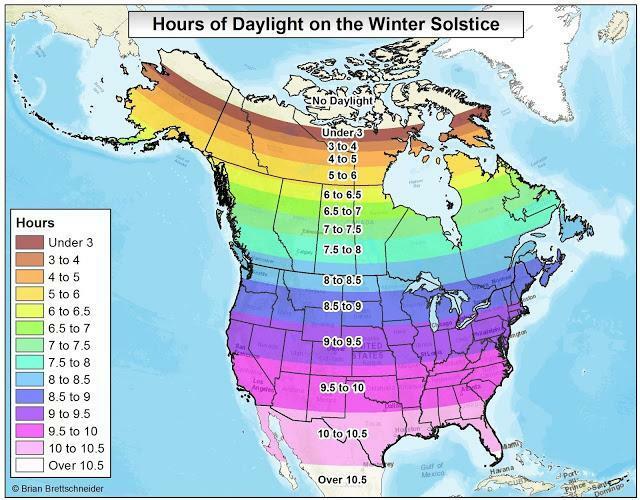 There is only around nine hours of possible daylight this time of year. We will only gain a few seconds of it each day for the rest of the week. But don’t despair: We will be gaining a minute a day by the end of January’s first week, and two minutes a day by the fourth week. So although we have a plethora of winter weather ahead of us, the amount of daylight will now begin increasing, and eventually nature will respond kindly. When should you rake the snow off your roof? You can follow Dave Epstein’s forecast on Twitter at @growingwisdom.